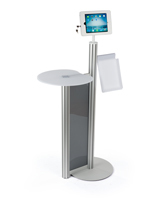 The promotional counter with iPad mount is a portable design for trade show booths. 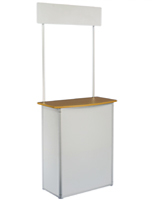 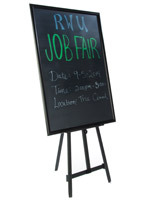 A 31” wide and 78” tall table constructed of cream white corrugated plastic supports a rectangular header that displays posters of company names and products. 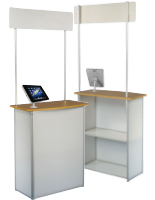 Inside the trade show counter with iPad mount are (2) shelves for storing extra samples and literatures. 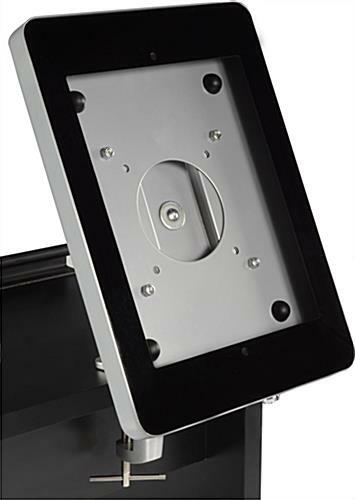 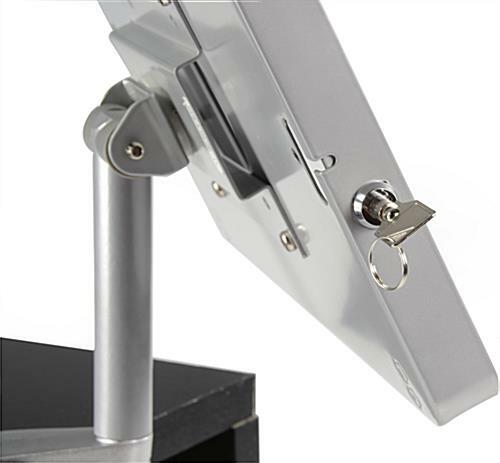 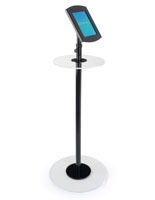 A silver steel-made clamping Apple® tablet holder with a locking enclosure and a hidden home button is included with this kiosk that complements the white display stand and catches the attention of customers. 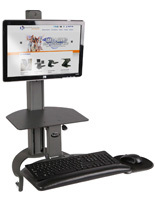 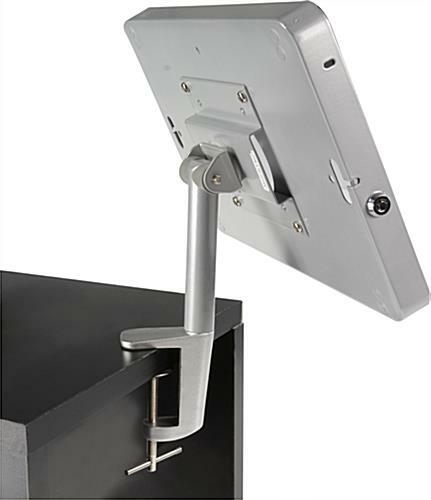 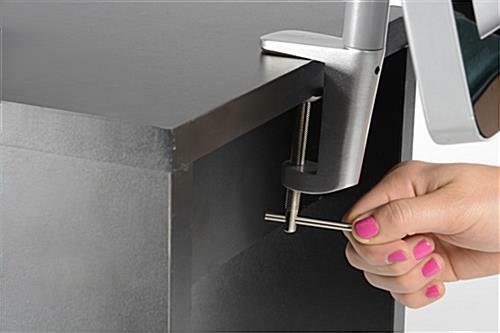 The counter with iPad mount tilts and rotates for optimal viewing and is a great way to advertise company products and ideas with a kiosk that easily fits in any booth size and uses Apple® device software. 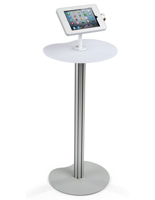 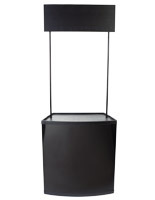 The portable unit assembles quickly and disassembles into a carrying bag for easy transport to different exhibitions, meetings, and other events! 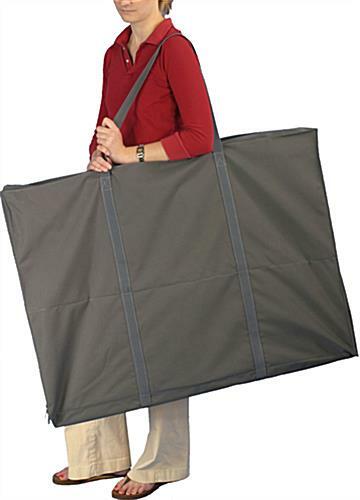 30.8" x 77.8" x 15.5"
28.0" x 36.0" x 4.0"